Nelson's Dockyard, established in the late 1720s as the naval dockyard for the British Navy in the Leeward Islands of the Eastern Caribbean, was inscribed as a World Heritage Site in 2016. Land area: 169.9 sq. mi. 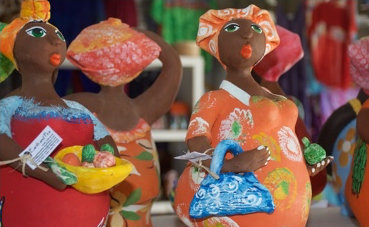 Antigua has received much attention from archaeologists since the mid twentieth century, so its pre-colonial history is well known relative to many other Caribbean islands. The earliest occupation at the ‘Little Deep Site’ dates to 3106 BCE, but this is only one of about forty sites that show evidence of the island’s colonizers. It is likely that migrants were attracted to Antigua because of its extensive deposits of chert, a stone well suited to the production of flaked tools. 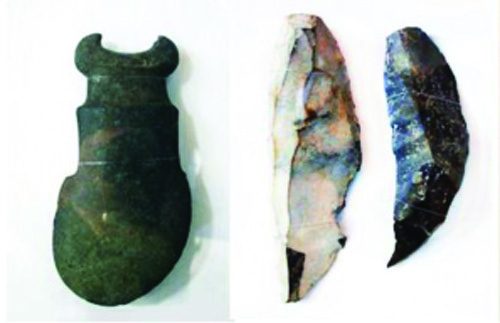 An interesting feature of early settlements is that they yielded chert implements resembling those of the Casmiroid tradition. The site of Jolly Beach (c. 1865−1685 B.C. ), for example, appears to have been a lithic workshop on a small spit of land off Antigua’s northern coast. These discoveries have linked Antigua’s origins tentatively to the pre-contact cultures of Belize, and thus Antigua might share with some of the Greater Antillean islands a Central American heritage, in addition to a South America one. 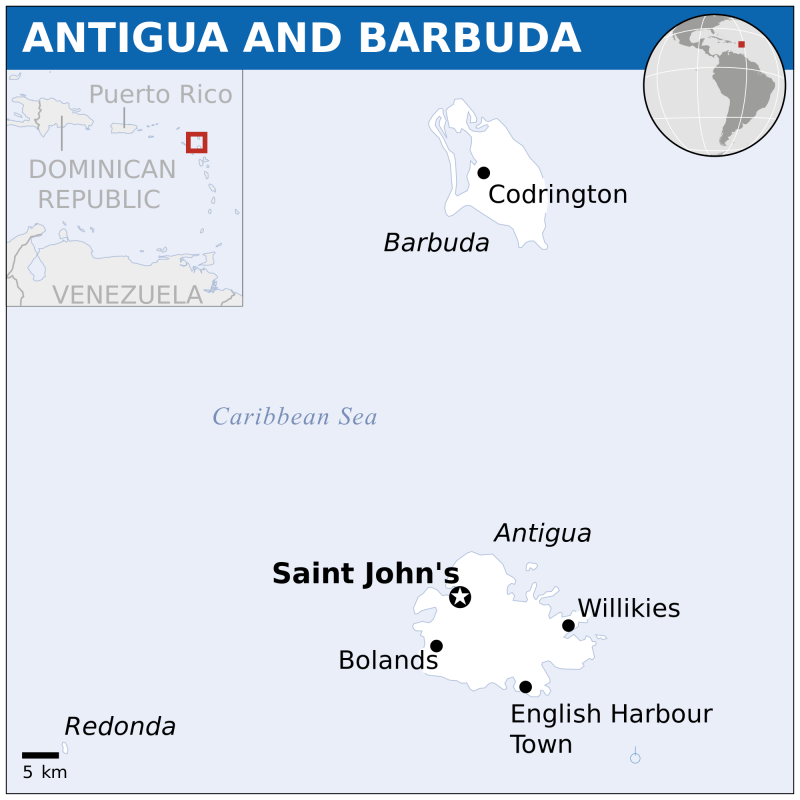 The first populations settled mostly on the northern coast of Antigua proper, taking advantage of the rich marine resources, easily attested by the thick mollusc middens in coastal settlements. 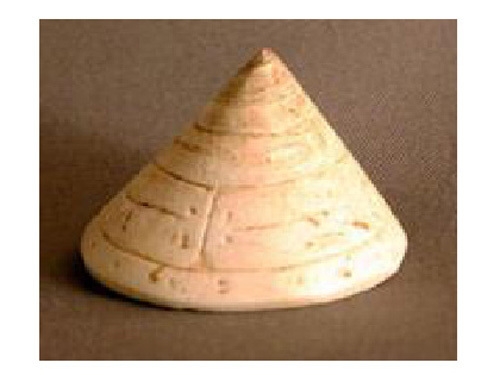 These groups did not make or use ceramics, and it is not until much later that the rather striking-looking Saladoid ceramic styles appear in the archaeological record. Saladoid migrations from South America ushered in a second pre-colonial phase of occupation in Antigua, and indeed for the entire Caribbean region. As on every island they colonized, they brought new cultural sophistications to Antigua, such as their distinctive white-on-red (WOR) pottery, zone-incised-crosshatched wares (ZIC), zemi worship and artifacts such three-pointer zemis, and elaborate village construction, complete with public central places such as ball plazas. One such settlement is Indian Creek, discovered in 1956, and dated toward the end of the Saladoid occupation (A.D. 1 to A.D. 600). A central plaza surrounded by a ring of middens has been excavated at this site. Antigua also bears two additional post-Saladoid phases of pre-colonial occupation, beginning with the Mill Reef culture (A.D. 600–900), which is characterized by the Troumassoid artifact complex as seen on other islands such as Barbados. The second post-Saladoid phase is locally named the Mamora Bay culture, dating from A.D. 900–1100. Both of these phases saw a shift from inland settlement toward a more coastal orientation, accompanied by an economic and subsistence change from agriculture to fishing. Columbus arrived in Antigua in 1493, marking the beginning of the historic era; however, there is no indication from early written sources that Europeans had contact with indigenous peoples. It was not until 1632 after failed attempts by the French and Spanish, that the British colonized the island. Two sites stand out as significant during historical times: Betty’s Hope Estate and Nelson’s Dockyard. Established during the mid-seventeenth century, Betty’s Hope Estate has recently attracted the attention of historical archaeologists interested in defining the birth of Afro-Caribbean culture through the height of the sugar industry’s dominance (1674 and later). 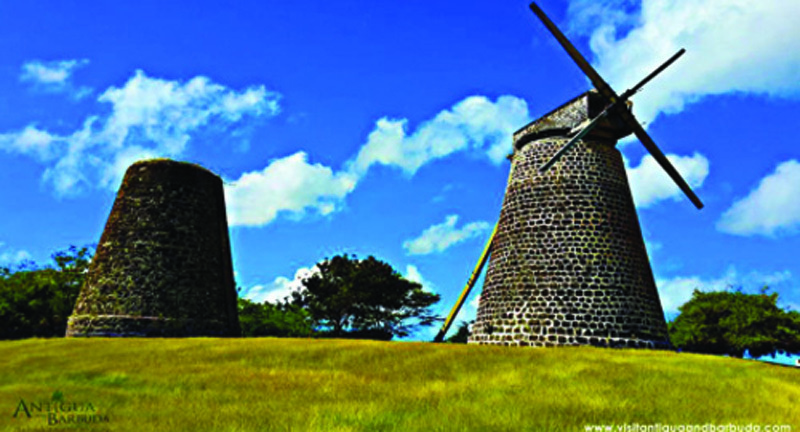 Once one of the most productive plantations in the region, Betty’s Hope has taken on a second life as an open air heritage tourist attraction, thanks to careful restoration work, which has completely reinstated a windmill to full working order. Nelson’s Dockyard and English Harbour were of immense strategic and military importance during the eighteenth and nineteenth centuries, and have been the subject of study of naval historians and archaeologists alike. The site is well regarded for the importance of persons who were stationed or visited it in history, such as Lord Nelson, William Henry (later King William IV), Admiral Hood, etc. Less well-known is the fact that indigenous peoples recognized the excellence of the harbour long before the historic era, as attested by the discoveries of pre-colonial remains at the site. Today, like Betty’s Hope Estate, the harbour is enjoying new life as a heritage attraction, made possible by restoration works taking place since the 1930s, on both the Georgian architecture and the harbour’s military relics and fittings. Image Sources: Photographs by Lawrence Waldron. 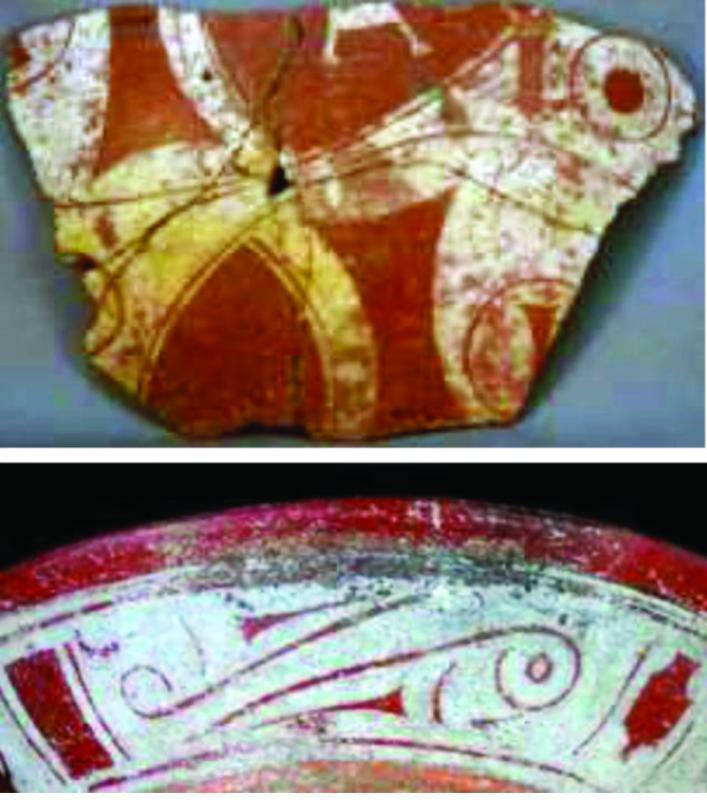 Saladoid white-on-red pottery (WOR), Antigua; (below), from the site of Indian Creek. Two festivals stand out on an international scale. 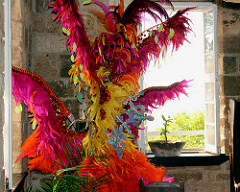 Caribana is held for ten days during late July early August and displays the island's creativity, craft, music and food. It celebrates the emancipation season. The calender is packed with events ranging from beauty pagents, calypso events with the main event being the Parade which includes revelers enjoying music on the road as well floats which hold beauty contestants. Unlike other festivals in the Caribbean, the street parade is integrated to have both adults an children enjoying the street event on the same day. There are several ways to start your career in heritage. Please click on the links below to view the academic opportunities based in Antigua and Barbuda.